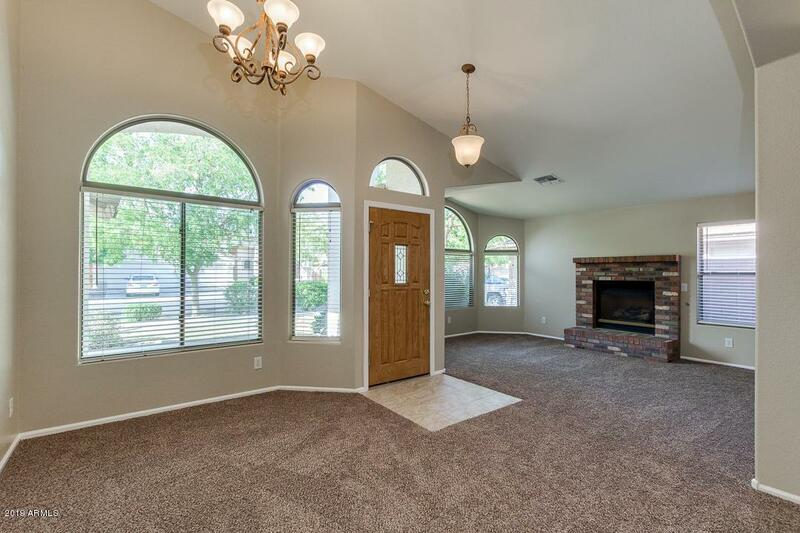 Stop by this beautiful single story home located in the highly sought after Canyon Trails neighborhood. 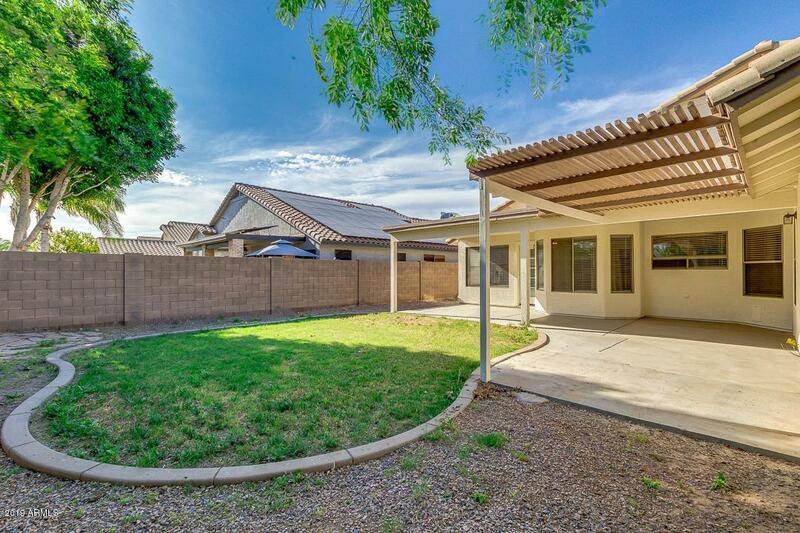 This home boasts 3 bed, 2 bath + a den that could be used as a 4th bedroom, a 3 car garage w/ epoxy, excellent curb appeal, immediately drawing you in. Walking through the front door, you'll feel right at home! The formal dining and living room glows in natural lighting & offers extra space for you to entertain guests. 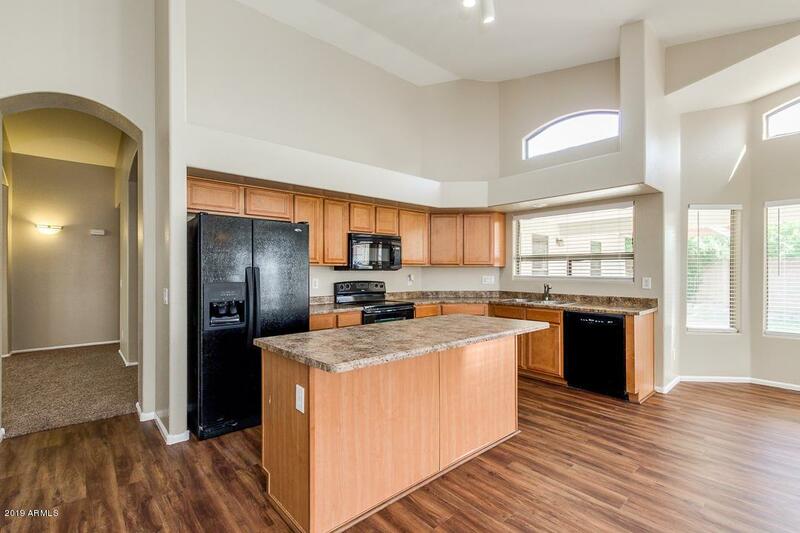 The kitchen has a large breakfast bar, durable countertops, oak cabinets, & black appliances. Inside your master suite, you will find a spacious walk-in closet, full bath & private exit to your patio. Your beautifully landscaped backyard is ready for you to enjoy! 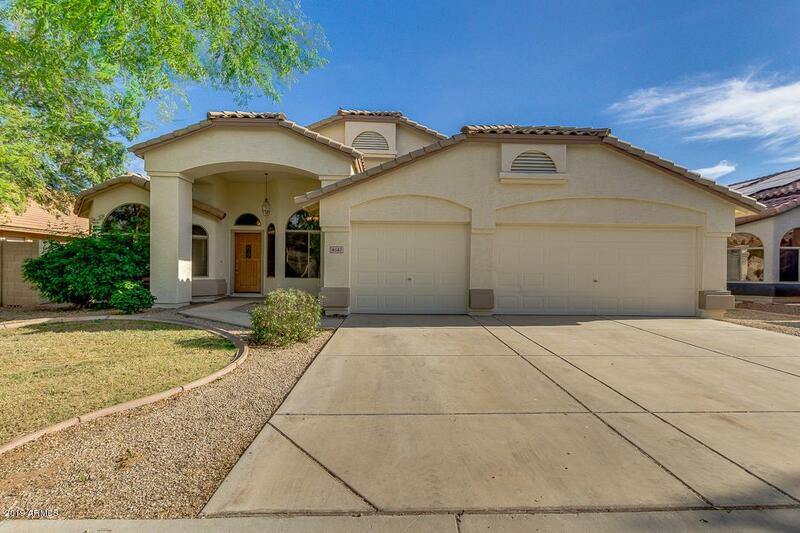 A lush lawn to run around on, a covered patio & pergola to sit back and relax! Hurry and see this home today! Cross Street Van Buren & Sarival St.